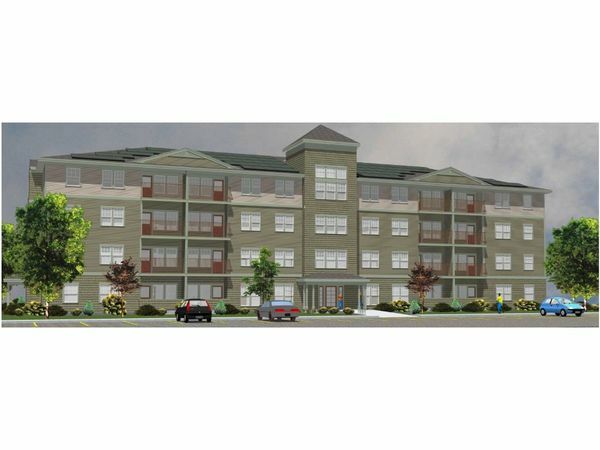 BEDFORD, NH — A total of $12.5 million for the construction of new multi-family rental developments in Exeter, Bristol, and Jaffrey, as well as for supportive housing units and the refinancing of three existing developments, and funds for a Concord homeless organization, was recently approved by the New Hampshire Housing Finance Authority (NHHFA), according to a press statement. With additional funding of $25.5 million from other sources, these developments reflect a public-private investment of $38 million in multi-family housing in the state, supporting the retention or creation of more than 300 construction-related jobs. Funding for three supportive housing projects will help renovate a former Manchester department store into transitional recovery housing for individuals with substance use disorder, help create a permanent cold weather shelter in Concord, and finance housing in Lebanon focused on serving those who are chronically homeless. The New Hampshire Housing Board of Directors also approved funding to refinance existing developments in Derry, Goffstown, and Winchester that will extend the length of their rental affordability and improve the units. The four new construction developments reflect an investment in the state’s affordable housing stock through the federal Low Income Housing Tax Credit Program (LIHTC), an incentive program for private developers and investors. As the state’s LIHTC administrator, NHHFA evaluates the developers’ proposals and allocates the tax credits based on the percentage of units designated for low and moderate income families. Developers finance project construction by selling their tax credits to investors, who in turn receive the benefit over a 10-year period. NHHFA recently released its annual Residential Rental Cost Survey, which found that the state’s tight rental market continues to drive vacancy rates down and rents up. The next NHHFA Housing Market Update report will be available in August. Three Meeting Place in Exeter, pictured, a 43-unit non-age restricted development; 38 units are income-restricted, received $673,236 (LIHTC) and $1,100,000 federal HOME fund loan. The Homestead House at the Meeting Place, also in Exeter, a 28-unit, non-age restricted; 26 units are income-restricted, received $516,074 (LIHTC) and $400,000 federal HOME fund loan. The NH FIT Recovery Housing Program received $720,000, to rehab of third floor of the former Hoitt’s Furniture building to provide transitional recovery beds for persons exiting inpatient treatment; capacity for up to 25 beds. Safe Spaces Cold Weather Shelter in Concord received $250,000, to acquire and rehab two-family home for continued use as a homeless resource center and construct a new building to serve as a low-barrier seasonal shelter. For more information, visit GoNHHFA.com or nhhfa.org. Previous Post: New Homeless Shelters Are Coming to New York City: Which Neighborhoods Are Likely to Get Them?